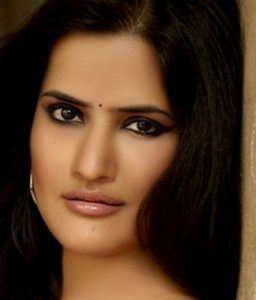 Sona Mohapatra is an Indian singer, songwriter, music composer and producer who has performed in concerts across the world. Sona is famous for her blend of rock, R&B and Romani music, as heard on songs like “Dil Aaj Kal” and “Chayee Madhoshiyan.” Born on June 17, 1976 in Cuttack, India, to Nayantara and Dilip Mohapatra, she began her career in the music business writing commercial jingles for brands like Tata Salt. She studied electronics engineering at the College of Engineering and Technology in Bhubaneswar. She also earned an MBA degree from Symbiosis Centre for Management & HRD, Pune in marketing & Systems. In 2005, she married composer and music director Ram Sampath whom she first met in 2002. *She was born on June 17, 1976 in Cuttack, India. *She began her career as a brand manager in an FMCG company, Marico. *Her performance of “Ambarsariya” for the 2013 film Fukrey earned her Star Guild and Screen Award nominations for Best Female Playback Singer. *She was accused singer-composer Kailash Kher of sexual misconduct, claiming he once placed his hands on her thigh.